The differences in approach and culture between the U.S. Departments of State and Defense are stark despite the fact that these organizations are members of the same team and share related national objectives. Understanding the nature of these differences is key to improving interagency cooperation between the two key agents of our national foreign policy. State's historical role as the nation's lead instrument of foreign policy has eroded since World War II, while Defense has seen its power and influence grow. Spending on diplomacy has remained constant and comparatively small compared to both the ebbs and flows in Defense spending. Despite significant differences in purpose regarding planning—in which State primarily engages in planning routine activity aimed at daily efforts to prevent conflict and advance national interests, and in which Defense plans contingency operations involving use of military force—State has developed a results-based planning procedure derived from that of the Department of Defense as a result of pressure from Congress. In recent history, our nation's diplomatic efforts, and the individual Foreign Service Officers who operate in this arena, aim at exhausting opportunities to secure peace and stability before turning to the option of last resort. 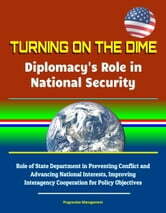 Defense is no less pleased than State when diplomatic efforts fail and military force is applied. Moreover, the existence of a critical gap in our national capacity to effect transitions from situations of conflict back to peace exacerbates tension between the two executive branch departments. Neither is prepared to conduct nation-building efforts they are sometimes called upon to carry out. Defense, with an annual budget almost 50 times that of State, has more flexibility to support such transitions but is uncomfortable with this secondary task. Meanwhile, Congress wields the ultimate vote over resources that might bridge the gap, and it shows no current appetite to provide more funding to do so. 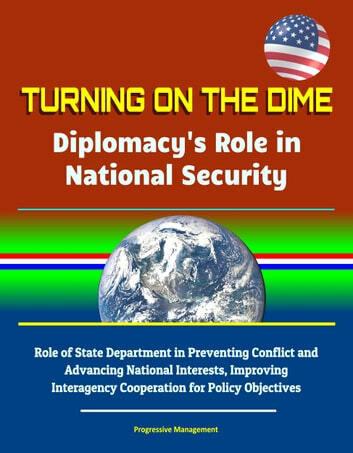 Until such time as nation-building becomes a national priority for both the executive and legislative branches, State will continue to struggle to meet the demands of worldwide, universal diplomatic representation with the small staff and resource base it is afforded. Under such constraints, its most important function will be to help avoid situations of conflict that might lead to the prevailing shortfall in post-reconstruction capabilities.